Autumn 2011, over dinner at The Wolseley, in London's Piccadilly, two friends — a product designer and a men's shaving accessory purchaser — discuss the uninspired task of regular wet shaving and identify a lack of genuine quality razors and shaving brushes to make shaving once again, the exciting self-indulgent ritual it should be. The days of lathering up a badger hair shaving brush with a delicate, scented shaving cream, loading a double edge blade into a 3-peice safety razor and applauding hand crafted shaving implements seem all but forgotten in the efficient-driven age of electric shavers and disposable multi-blade razors. Surely, the time is right to introduce high-end British made razors and shaving brushes to the men's shaving landscape? There and then, a brand name was conceived. Derived from two favored drinking establishments in London's bustling West End — The Oscar Wilde bar at the Café Royal, Mayfair and The White Harte in Drury Lane. Wilde & Harte was born. Time to embark upon a brand identity for "Wilde & Harte". Understated, quintessential and above all, proudly British. Ideas for razor handles imminently followed. The requirement was for a modern, contemporary design and a classic, traditional design. With the help of a professional in the international jewelry trade, initial ideas were developed, cast, plated and presented for consideration. With an octagonal handle design and an innovative helix spiral handle design agreed, then computer-aided-design (CAD) files generated and signed-off, it was time to head to the manufacturing unit to machine the first razor handles. 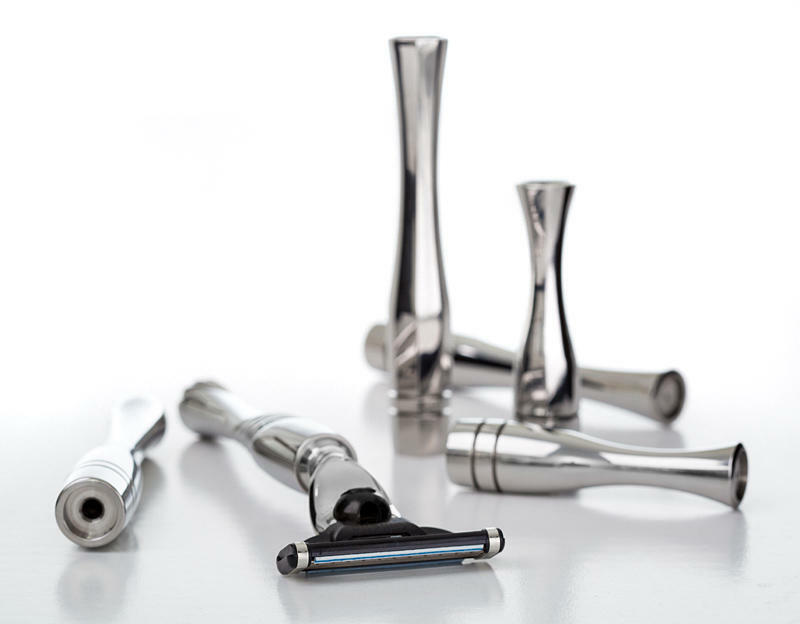 Production moved to the manual polishing of the razor handles to attain the impeccable mirror finish required to market Wilde & Harte razors to the luxury men's grooming market. Learn more about our design and manufacturing process. 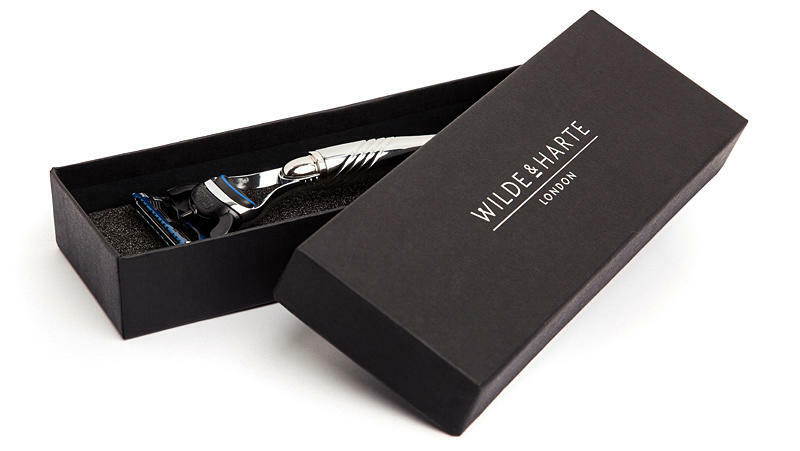 With the razor collections tested and now ready to market, Wilde & Harte officially launched during the Spring of 2014. Inspired by the grandeur and splendour of iconic houses and palaces in London, three razor Collections nestled seemlessly into the luxury men's grooming market — The Apsley, The Eltham and The Osterley. By the end of Summer 2014, Wilde & Harte razors were being shipped throughout the UK and internationally via our ecommerce website. However, more impressively, the razors were also available to purchase in person at the leading men's grooming shops in London — D.R. Harris & Co. (Est. 1790) and Truefitt & Hill (Est. 1805). Furthermore, by Christmas 2014, Taylor of Old Bond Street (Est. 1854) also stocked Wilde & Harte razors. D.R. Harris and Truefitt & Hill are Royal Warrant holders. This is a mark of recognition to those who supply goods or services to the Households of HM The Queen, HRH The Duke of Edinburgh or HRH The Prince of Wales. With good sales and many positive comments and reviews about Wilde & Harte razors, it was time to expand the Collections to include luxury shaving brushes. Followed by a selection of sateen bedded luxury grooming gift sets, available at our retail stockists and online in time for Christmas. Wilde & Harte become members of the Made in Britain campaign. An initiative which is endorsed by the British Government, supported by British manufacturers and recognised by consumers, both at home and abroad. A very productive year for the brand. Now selling regularly to USA, Canada, France, Italy, Denmark, Belgium, Holland and of course, the United Kingdom. 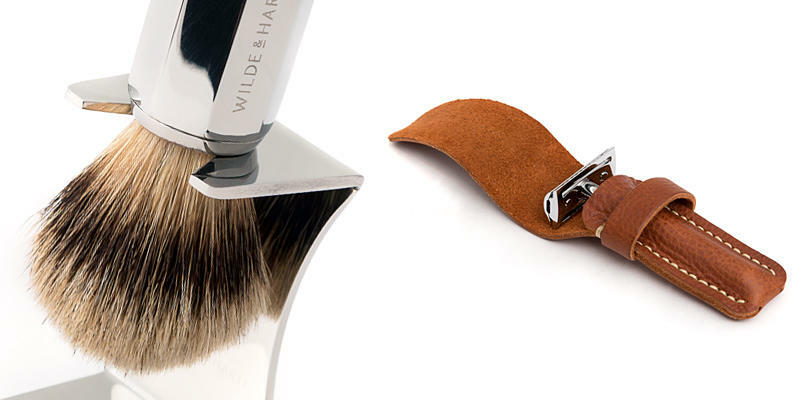 As demand for our luxury shaving accessories increased, the Wilde & Harte team designed a range of complementing shaving accessories. These included stainless steel shaving brush stands and hand stitched leather safety razor pouches. Wilde & Harte were delighted to feature in 'Best of British', a Summer editorial supplement for the Mail on Sunday, allowing a new audience to learn more about our made in Britain razors and shaving brushes. The continued success of the Eltham Safety Razor reached new heights and is now regarded as the Wilde & Harte signature product. Milestones achieved included sales to new territories of South Korea, Australia and China. Our continued aim is to enrich the shaving ritual, as it has been for seven successful years. We promise to maintain our extremely high standards of design, manufacturing and faultless customer service. Why not join the elite club of discerning Gentleman who enjoy a Wilde & Harte shave? Whether you fall on the side of the traditional or the contemporary, Wilde & Harte design and manufacture shaving Collections to encourage you to experience the best possible wet shave. 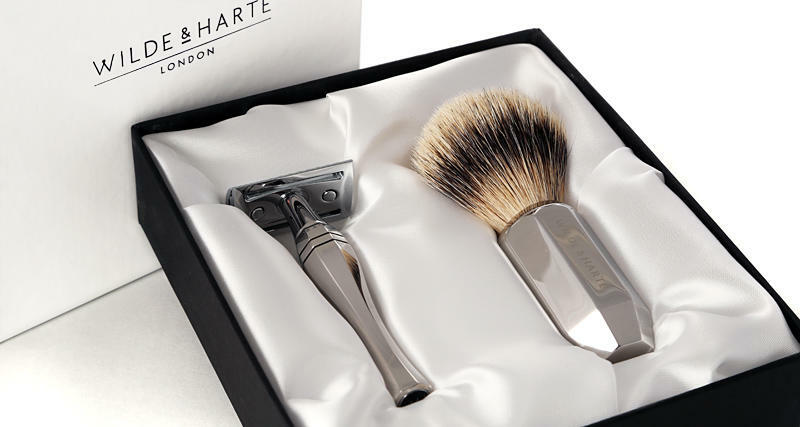 Browse our luxury razor and shaving brushes below.